Zanu-PF aspiring candidate for Vungu constituency Omega Sibanda launched his campaign for the 2018 elections and pledged to transform the area into a self-sufficient constituency. Sibanda launched his campaign for July elections amid pomp and fun fare at Maboleni grounds in Lower Gweru. 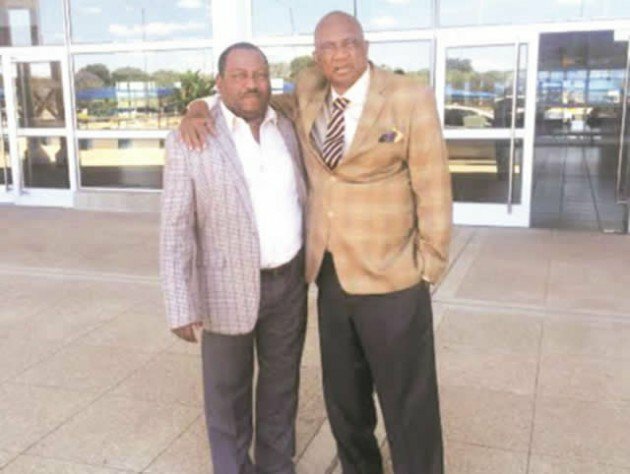 He was accompanied by incumbent Zanu-PF legislator for Vungu constituency Jospart Madubeko and Zanu-PF members who lost in the primary elections, who encouraged thousands of party supporters who had gathered for the campaign launch to rally behind Sibanda who can foster development that can transform the rural community for the better. Besides reviving idle irrigation schemes in Lower Gweru, the aspiring candidate Sibanda pledged to bring social and economic change that will ensure the constituency is self sufficient. Provincial vice chairman Godwill Shiri campaigned for the President Emmerson Mnangagwa whom he described as a visionary and goal oriented leader. Sibanda will battle it out in Vungu constituency with nine other candidates Chumu Mark (MDC-T), Dube Junior (PRC), Kona Leonard (ZIPP), Lunga Nimrod (MDC Alliance), Mpofu Ngqabutho (MRP), Ncube Fanuel (APA), Ndlovu Lawrence (Independent), and Ntonisani Maxwell (Zapu).